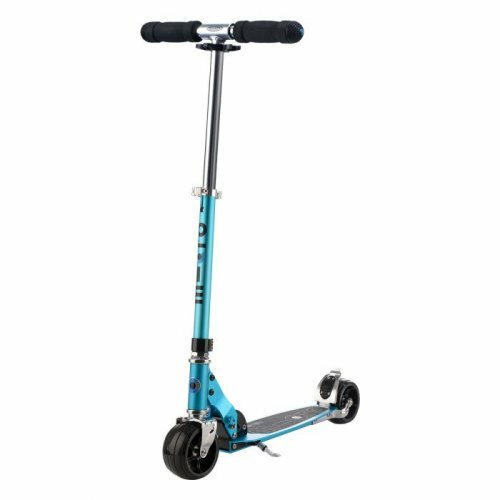 With exceptional Swiss construction, uncompromising quality and innovative design, the Micro Rocket is the perfect second scooter. 'Fatties' wheels which are unique to Micro give extra stability and grip, increasing confidence and control. The handlebar height on the Micro Rocket is adjustable, it also has a kickstand which enables the scooter to stand upright by itself.